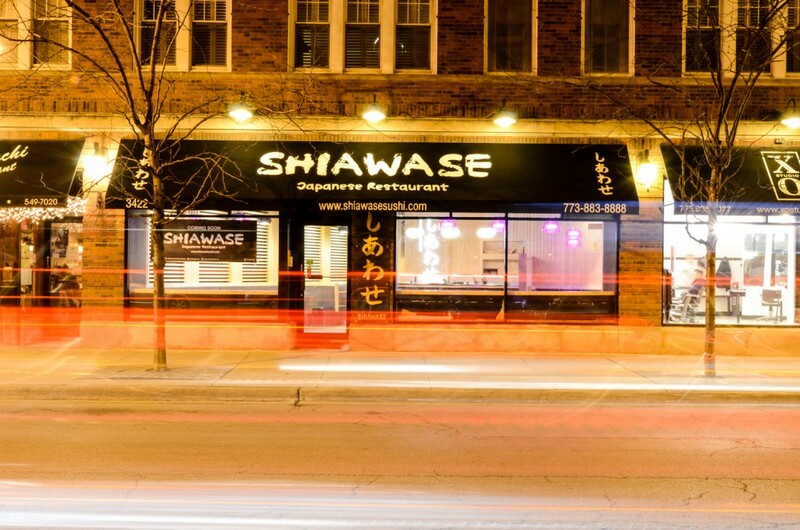 Since 2014, Shiawase opened at 3422 N. Broadway Street in Chicago. 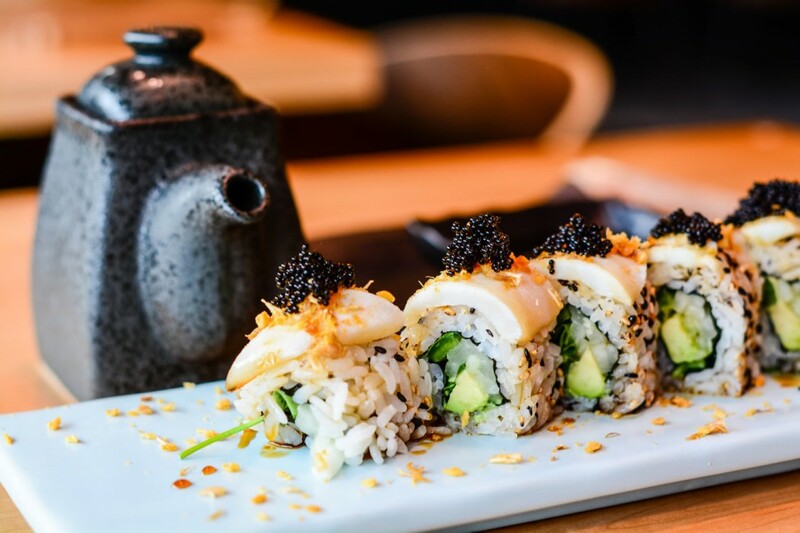 Shiawase means happiness in Japanese, and co‐owners Wany Phuang and Ohm Onthuam (Amarit & Uaki) aim to spread good fortune to the Lakeview neighborhood by providing a healthy and delicious dining experience. 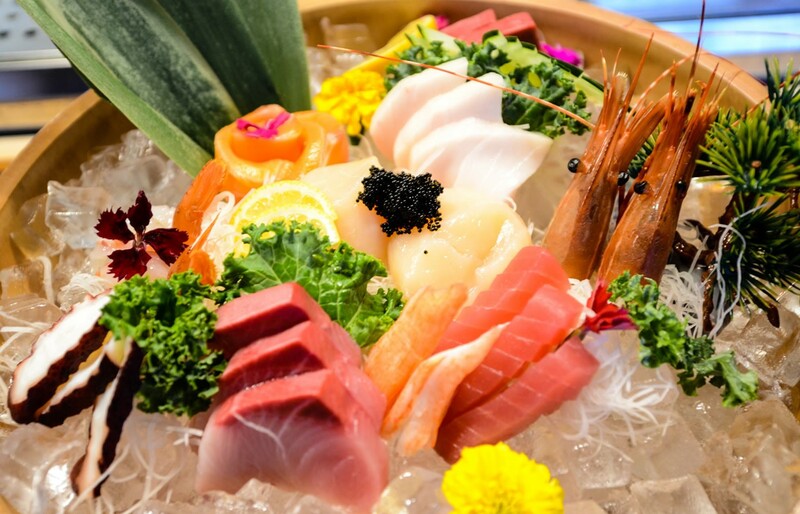 Opening Shiawase is Phuang’s dream come‐true: she has been working in the restaurant business for the past ten years with the goal of starting her own establishment. 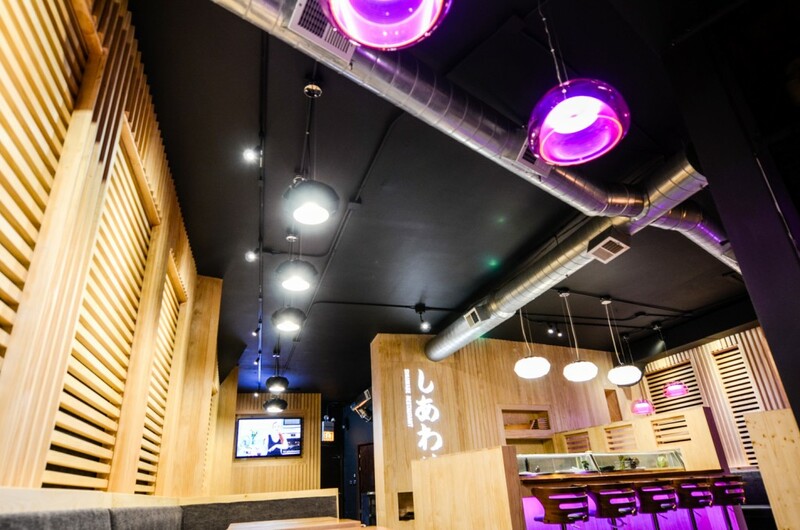 Onthuam owns two other restaurants in Chicago—Amarit Asian Restaurant and Ukai Sushi. Together, their goal is to duplicate the authentic flavors and decors of Japan. 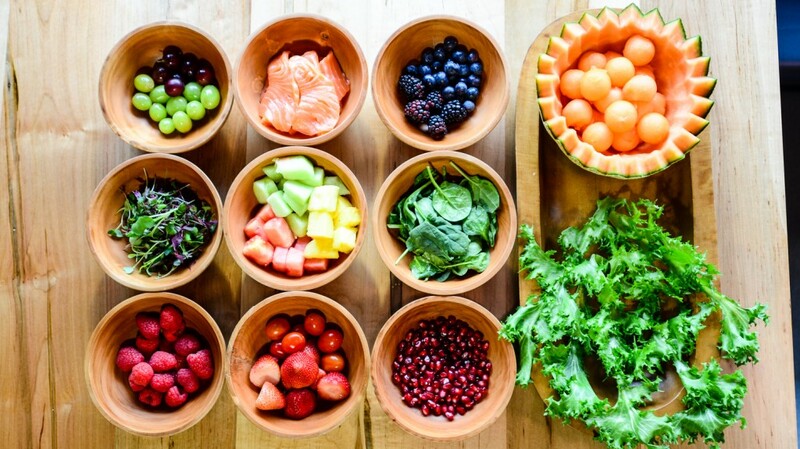 Shiawase customers can choose from a variety of Japanese salads, including Ahi Poke, which features equal‐sized diced raw tuna and fresh avocado. The smooth textures blend together, while the tuna and avocado flavors are complimented with a special house blend sauce and rice seasoning. The salad is served on shredded daikon with fried lotus root chips on the side. 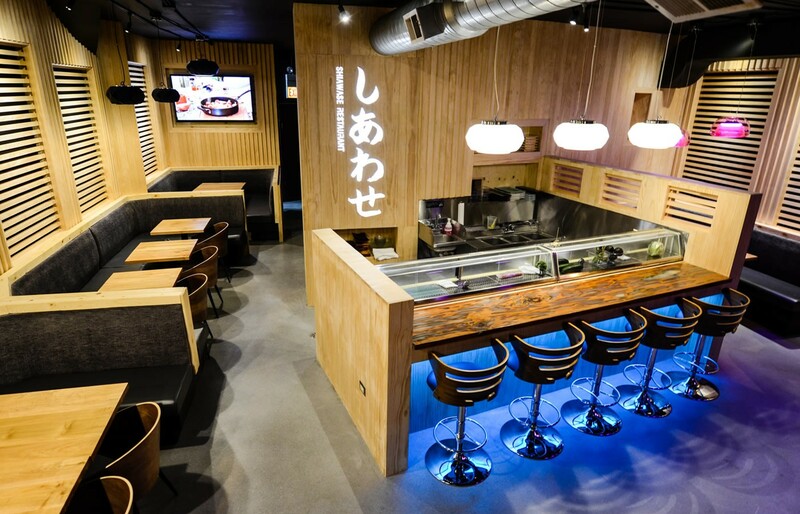 The interior of Shiawase was designed by Phuang and her brother George, aiming for a natural and authentic ambiance. 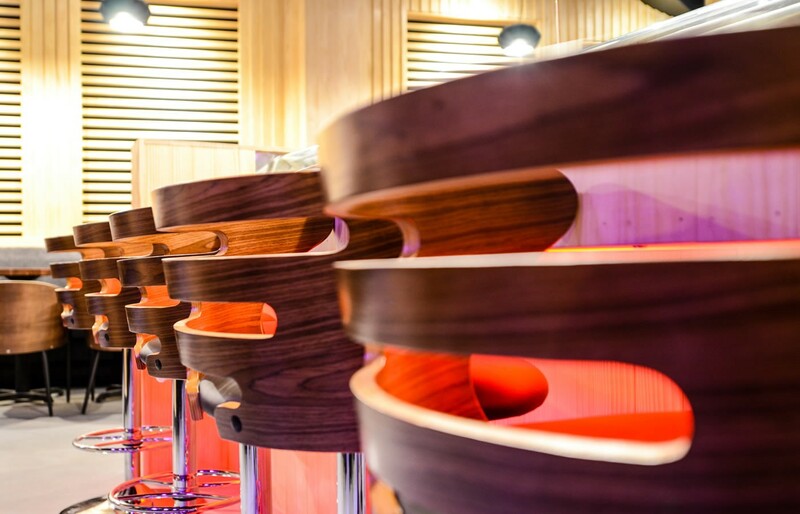 Wooden tables are surrounded by black cushioned booth seats and curved wooden chairs, while the walls are finished with pine. 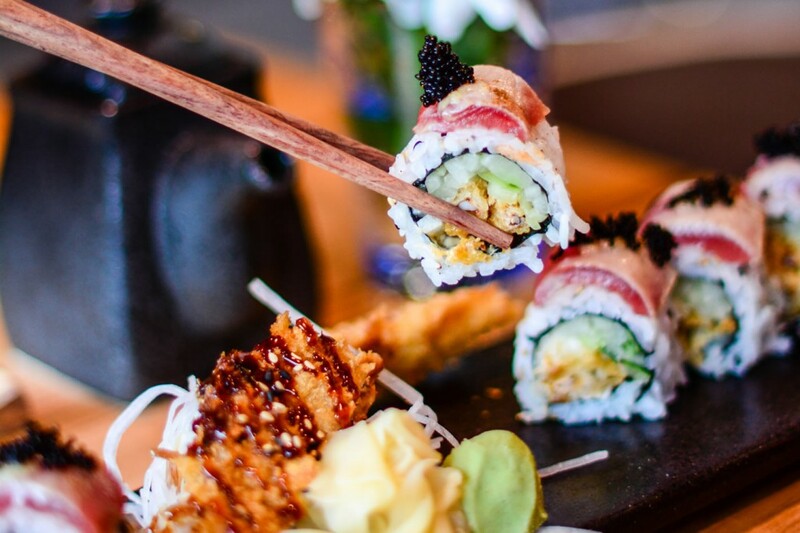 Each table is meticulously set with black glazed square plates and dipping bowls; wooden chopsticks rest on holders to the side. 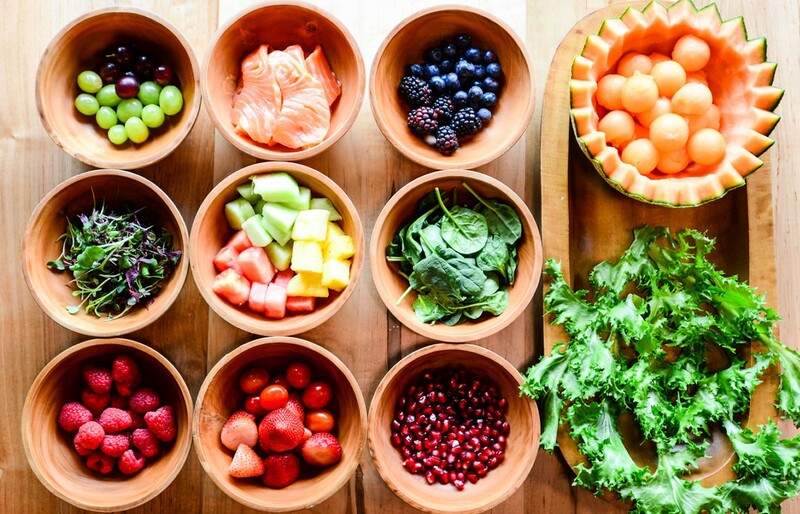 Bamboo bowls are used to serve many of the dishes. Most of the dinnerware was imported from Japan and other countries from Asia. 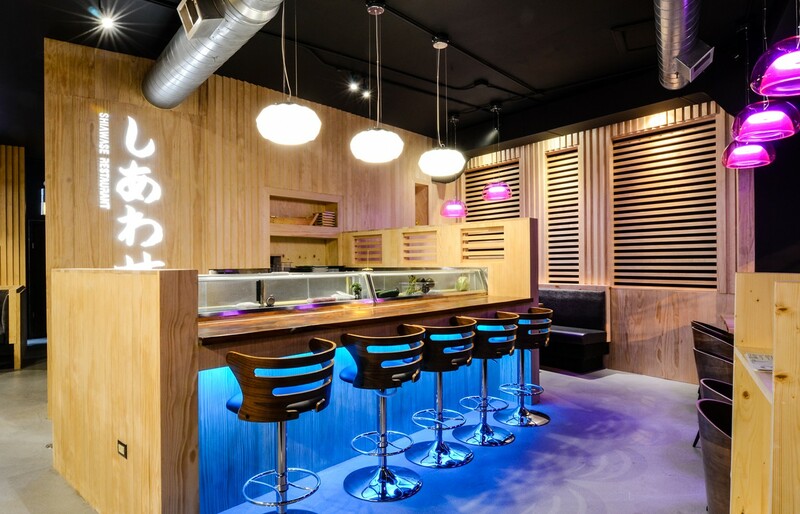 The centerpiece of the restaurant is the custom built sushi bar, behind which the chefs craft their culinary offerings. 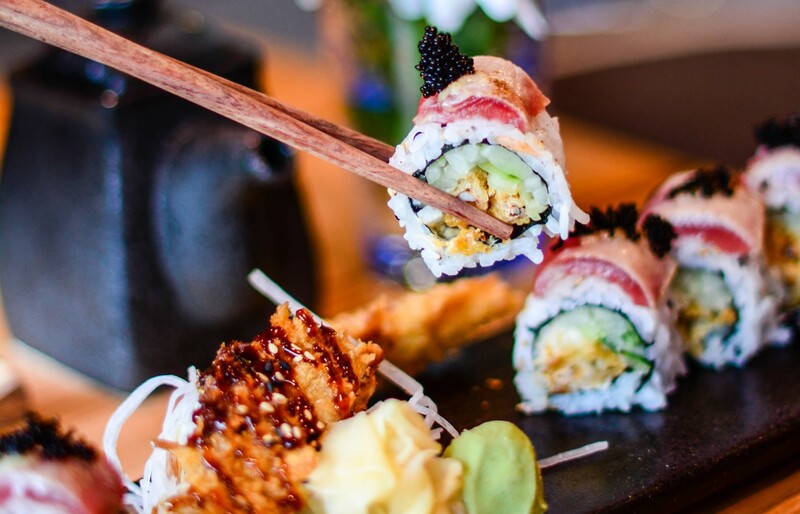 Executive chef Toby Himacharoen has ten years of cooking experience in sushi restaurants. 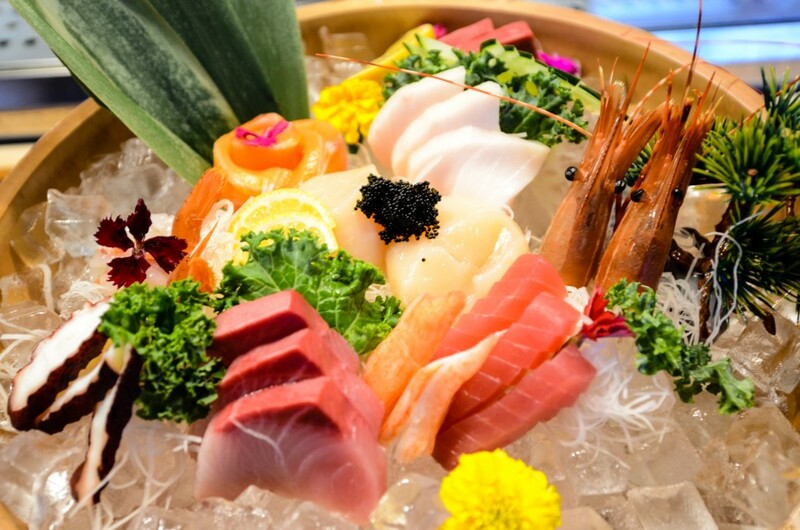 He sources his own fish orders, with multiple weekly deliveries ensuring maximum freshness. 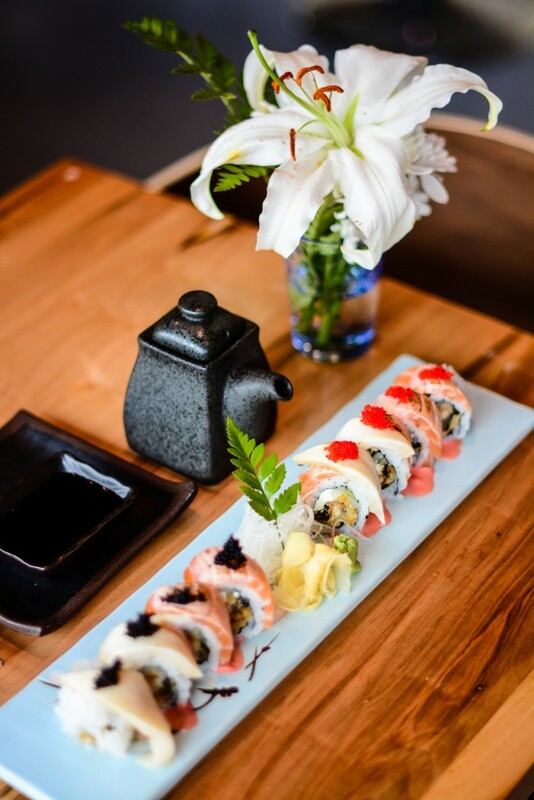 Bring a crisp bottle of pinot gris and pair it with a sakura roll—Shiawase is BYOB. Hours of operation: 4‐10 every Monday‐Thursday; 11:30‐11 every Friday and Saturday; 11:30‐10 every Sunday. 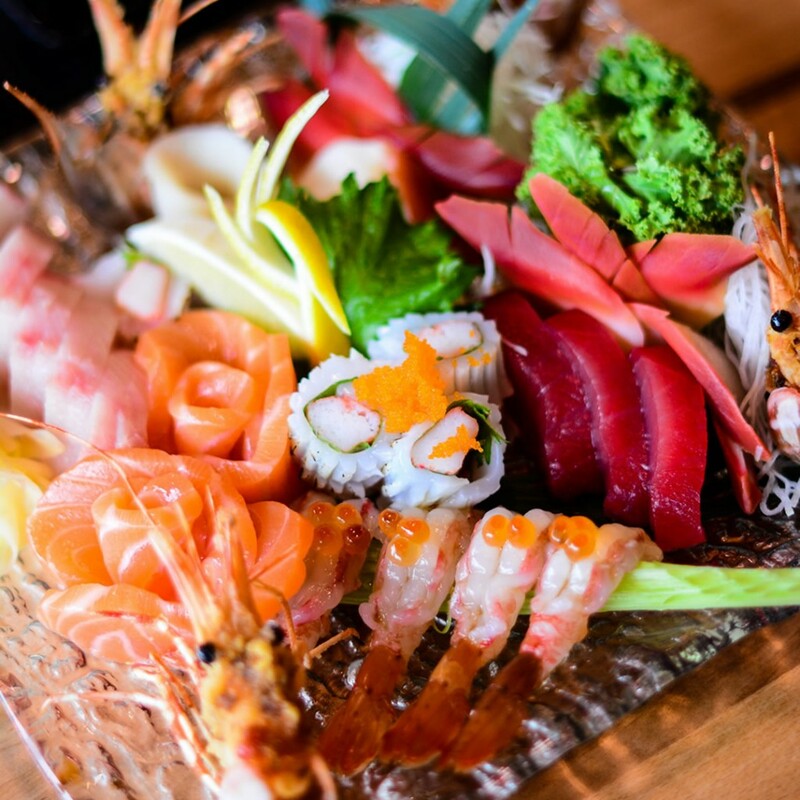 To view the restaurant’s complete menu, visit shiawasesushi.com. 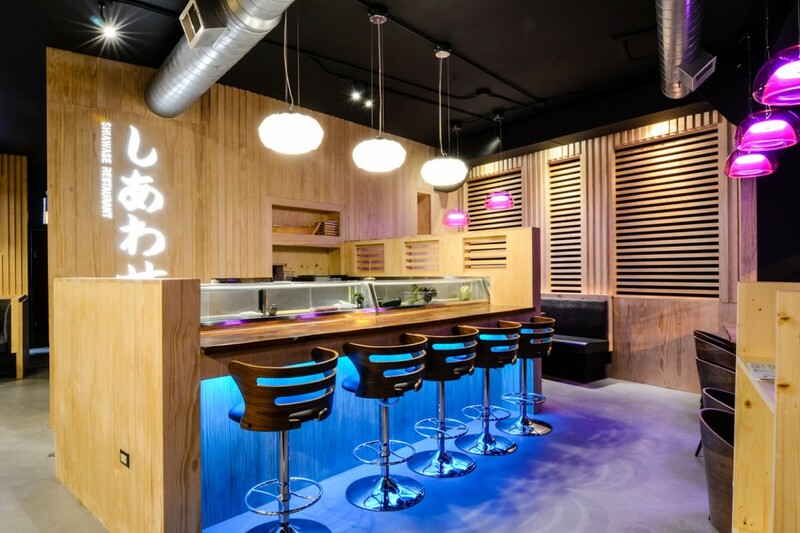 3422 N. Broadway Ave. Chicago, IL 60657.